Paramount Pictures has released a new Mission: Impossible Rogue Nation TV spot, which you can check out below! At the same time, word comes via USA Today that the underwater stunt seen in yesterday’s full trailer -in which Ethan Hunt (Tom Cruise) has to do a dangerous dive without an oxygen tank- was in fact very, very real. In Rogue Nation, Ethan and the team take on their most impossible mission yet, eradicating the Syndicate – an International rogue organization as highly skilled as they are, committed to destroying the IMF. 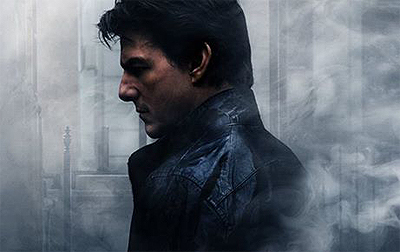 A Paramount Pictures and Bad Robot production, Mission: Impossible Rogue Nation will hit 2D and IMAX theaters July 31.